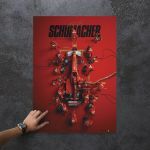 In collaboration with Scuderia Ferrari and the Keep Fighting Foundation, Automobilist has created a series of design posters to capture one of the most historic moments in Formula 1 history. 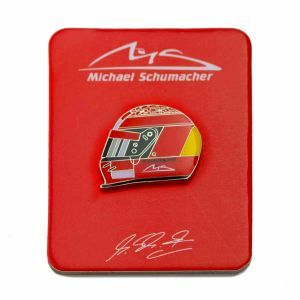 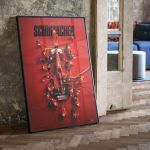 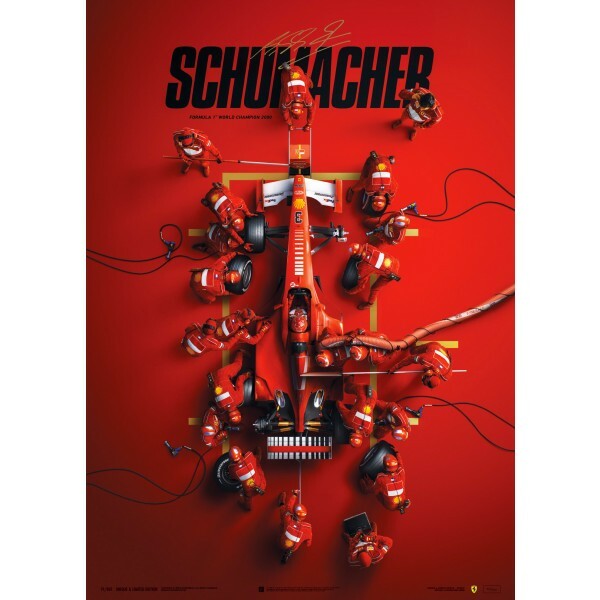 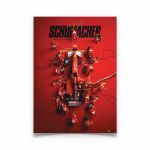 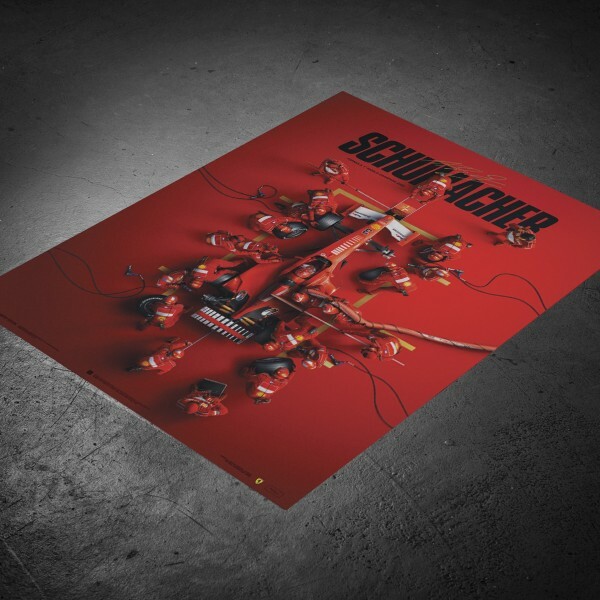 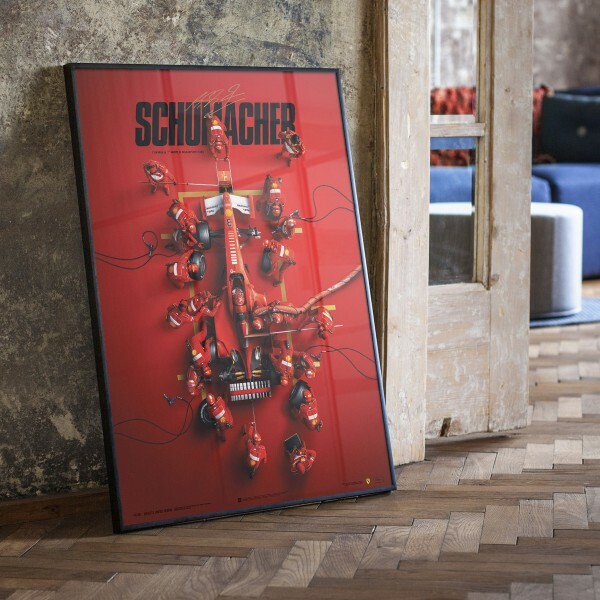 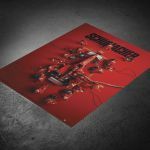 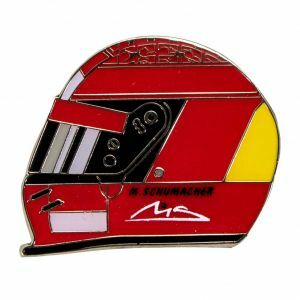 This unique and limited poster, strictly limited to 500 copies, celebrates this exceptional achievement and celebrates Michael Schumacher's 50th birthday. 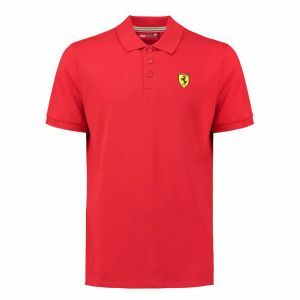 It shows an exciting scenario that is alien to the current F1: a pit stop with refuelling. 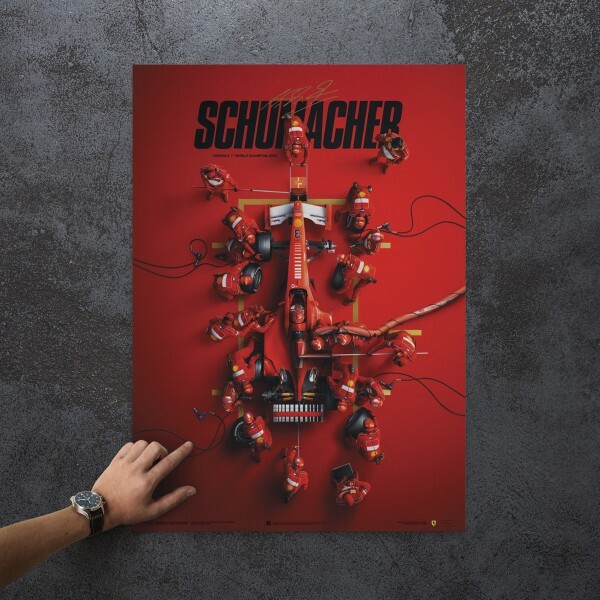 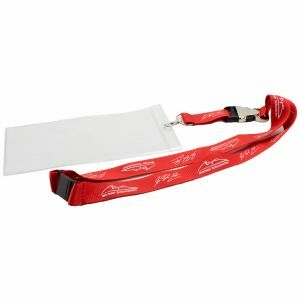 The extraordinary top view enables the viewer to enjoy the Pit-Lane Theater in all its hectic yet methodical beauty and to study the role of each individual pit crew member. 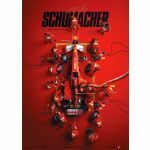 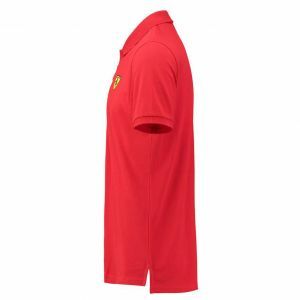 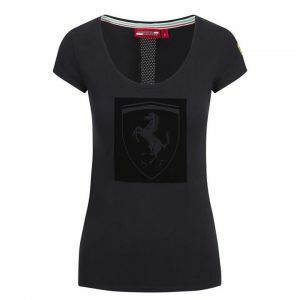 The mechanics work together like an orchestra, synchronized to support Michael Schumacher's path to victory in Suzuka.